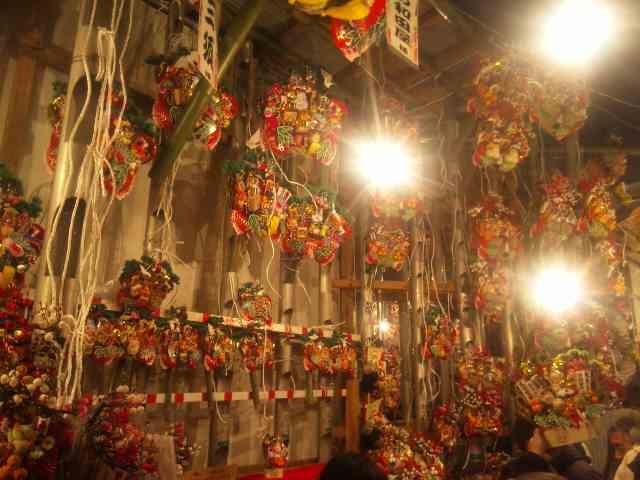 “Tori-no-ichi” festival at Otori shrine in Asakusa, Tokyo is held twice or three times in November every year since the Edo period. And this festival is celebrated all day long. 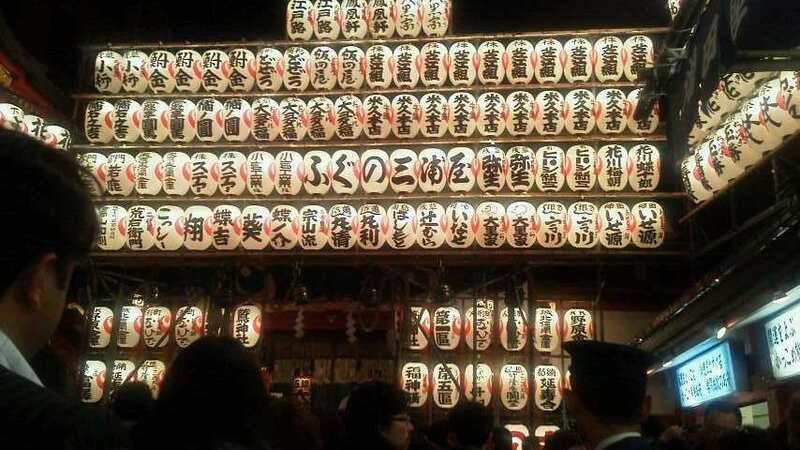 On the day of the festival, a great number of people come to this shrine to pray for their good fortune in the future and to keep evil sprits away. 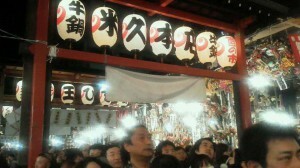 Decorative bamboo rakes with good luck symbols like treasure ships, seabreams, straw bags, ears of rice, gold coins etc. Small ones cost around JPY 2,000- , and big fancy ones could cost more than JPY 100,000-. It’s usually companies or people who run their own businesses buy those expensive ones wishing for the prosperity of their business.